In honor of the commemoration of Martin Chemnitz’s birth today, we’ve posted below another excerpt from the recently released Chemnitz’s Works: Church Order describing daily worship in cloister schools (pre-seminaries). And since the practice of singing and reading in the churches, as stated above, ought not to be so regarded and executed as though enough were done for God and the church simply by performing the songs and readings correctly, but rather that all actions should be appointed and carried out for the teaching of holy, divine Scripture and for the true godly fear and Christian virtue and discipline which flow from them—we desire that the following order be maintained in the church exercises in our cloisters. Specifically, because the Psalter of David is a brief summary of the contents of all Holy Scripture, the Psalter, along with the other books of Holy Scripture, shall not be read only superficially at certain times in the year, but rather practiced daily with all diligence, and read and sung according to the old, usual Latin translation, as given hereinafter in detail. First, since God wishes to be addressed and thanked for all His gifts, which He gives to men out of pure grace alone, we hereby command and earnestly intend that every day, whether holiday or workday, morning prayers shall be observed in collective assembly at about five o’clock in both summer and winter, after the students have been awakened by the tolling of the cloister bell. And let one of the students read aloud and intelligibly a psalm in the normal sequence, as this order will set forth. We call on You, O God and Father of our Lord Jesus Christ, that You would continue by Your Holy Spirit to glorify and propagate Your Church, scattered throughout the world and afflicted by various dangers, and which Your only-begotten Son, our Lord Jesus Christ, acquired with His own blood; and that with Your powerful right hand You would defend the highest governors of the Roman Empire, our emperor, together with the electors and leaders of the empire, and further our most illustrious prince and lord, Julius, Duke of Braunschweig, and the reverend lord N., prelate of this monastery; and that You would turn their minds toward counsels salutary for the state and help their administration to preserve the public peace and to spread the glory of Your name. And we pray You, be so favorable to our studies that by Your increase we may not only work out our own salvation but also be able to be of use to the church and the state; through our Lord Jesus Christ, who became the sacrifice for our sins and the price of our redemption, who lives and reigns with You and Your Holy Spirit, one God, blessed forever. Amen. And then conclude the prayer with the Our Father; nevertheless, also pray the other prayers that stand by themselves, and the Our Father afterward as well. After this, every morning after eight o’clock on weekdays in the summer, and around nine o’clock in the winter (or as the prelate will decide jointly with the general-superintendent, according to each cloister’s situation), sing two or three psalms, depending on their length, with the usual Christian antiphons of the time; and after that read an entire chapter from the Old Testament in both Latin and German, going in order from the beginning of the Bible. Finish with the Benedictus or the Athanasian Creed—alternating each day—and also the usual Christian antiphons of the time and a collect. But for instruction in prayers and Bible chapter readings, the following procedure shall be maintained: a student will always perform these for an entire week, and then the next one in sequence. Thus when it is one boy’s turn, he shall read the chapter loudly, slowly, and intelligibly, that he may thereby become accustomed to speaking properly before the congregation. And that the others may receive a benefit from listening—and also, for the purpose of becoming accustomed to Holy Scripture—all students and listeners shall have their own Bible before them and shall diligently read along in them. And at four o’clock in the afternoon on workdays, one or two of the next psalms, which come immediately after the psalms which were completed in the morning, shall be sung in the choir with an antiphon of the time, and then a chapter from the New Testament, again in both German and Latin, shall be read, starting from the beginning; after that, it shall be concluded with the canticle of Mary’s Magnificat or the Nunc dimittis, alternating with each other, and the usual antiphons, and with a Christian and pure collect of the time. Instead of the regular chapter, at four o’clock on the Eve of Christ’s Nativity either Isaiah 9 or Luke 2 shall be read, but on that of Easter, Mark 16; and then on that of Christ’s ascension, Acts 1 shall be read; and on that of Pentecost, Acts 2. For these encompass the history of the coming festival. And after the evening meal, at evening prayer, once again a psalm shall be read, namely, the next one after the one at which they had left off before the meal; and then the specially prepared prayer listed above; and then the Our Father shall be prayed, everything exactly as stated previously regarding morning prayer. We further desire and command that on all Saturdays and on the eves of certain festivals, as specified in our “Church Order,” exercises be held in the choir and church as already described in detail for workdays. However, in place of the Magnificat they may sing a pure hymn or responsory in agreement with the divine Word. On Sunday and festival mornings, the cloister boys shall be led into the church earlier by the preceptors, and when the first signal is rung, an introit together with the Kyrie eleison and, on high feasts, a pure Christian sequence or gradual shall be sung, the Sunday Gospel shall be read intelligibly and loudly in Latin by one of the boys, and then the Creed be sung—and all of this shall take place in the choir. And then, after the assembly bells before and after the sermon, outside [the choir space] in the usual place in the church, a psalm in German shall be sung before the congregation, as occasion presents itself. But in the afternoon on Sundays and all other festival days, a passage from the Catechism shall be expounded in order, and then the boys be examined and, additionally, if possible, teachings and examinations set up so that they are done by one of the students who is of a suitable age and is capable of it. In addition, before and after doing the Catechism, a psalm shall always also be sung in German. Our prelates shall, with all zeal and diligence, watch and make certain that all the cloister residents routinely make every effort to attend the explanation and examination of the Catechism and are not to be intentionally absent from it without legitimate reason; and, in the event that they are, to coerce and compel the disobedient to attend, by means of punishment, according to the circumstances and nature of the case. Vespers shall be held on Sundays and festival days in the same way as appointed for the eves of festivals. Thus with the reading at table, and excluding the other theological readings in the school, they will have six exercises in the church and in sacred matters, that they may become well-accustomed to them. 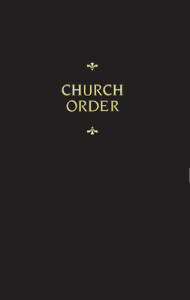 In addition, so that the morning and evening prayers and readings may be observed in the church in a more orderly way, one boy shall be appointed by the cloister preceptors to serve as hebdomadarius for each exercise—that is, one to the prayers and another to the readings of the church—and this shall be rotated among all the boys in sequence. The Communion of the Lord’s Supper shall be held in the church every year, as frequently as there are communicants present. From Chemnitz’s Works: Church Order, pages 244–47 © 2015 Concordia Publishing House. All rights reserved. 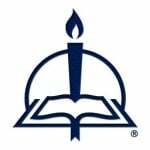 To order Church Order, please contact CPH at 800-325-3040 or visit www.cph.org.